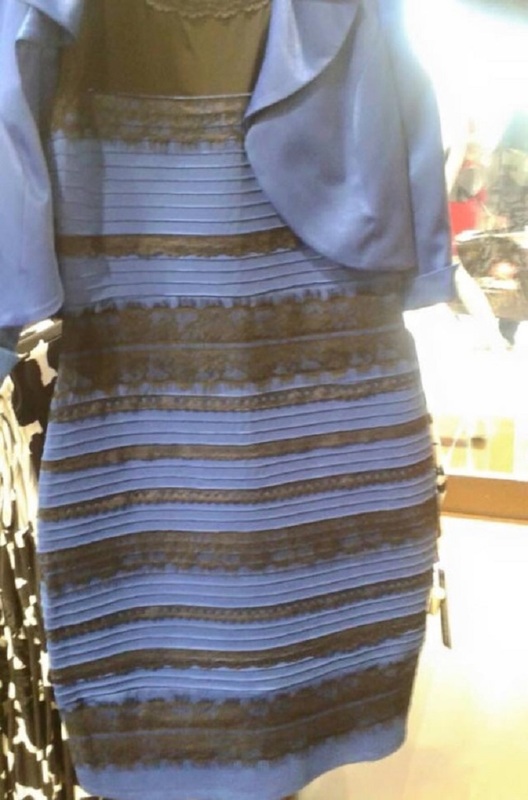 Last Thursday, the Internet was in a heated debate over whether a dress was #WhiteAndGold or #BlackAndBlue. When Caitlin McNeill and her friends could not agree upon the color of a dress, she posted a photo on Tumblr to seek out the opinion of others. Buzzfeed got ahold of this and posted an article asking the world to settle the debate. By the next day, it seemed that every person, including my mother, was talking about the dress. But the biggest marketing lesson to be learned are not about how it became viral, or the benefits of Buzzfeed or even audience engagement through social media. The lesson is how perception equals reality. Everyone who looked that photo saw something different. It had nothing to do with intelligence, experience or even fashion sense. (Although most people agreed the dress was hideous in style.) It was about our eyes taking the information in front of us, our brains processing it and giving us an answer that may or may not be correct. Our brains are colored with cognitive biases that affect how we gather, evaluate and retain information. We even see patterns that are not even there. But because the information came from our brain we assumed that it was the right answer. People were insistent on what they were seeing because it was what they were actually seeing. This is also true with the audience of a brand. The decision of what a brand is, is how the person is going to choose to see it, based on their biases. Each person perceives their own reality. This strongly impacts likeability. So it is important for marketers to accept that not everyone will see a brand in the same way and take that into consideration when developing campaigns. I’ll admit, I saw white/gold when I finally stopped to see what all the “talk” was about. I can’t for the life of me see black/blue in the picture. You presented great insight into how our brains perceive things and then convince us that what we see is correct (or the truth). I love the analogy for marketers in this. So many times marketers see the brand from their perspective and their eyes. They become calloused or blind when they do not engage their audience and LISTEN to their perceptions. It doesn’t matter what the brand thinks of the brand. It only matters what the customer thinks! Hi Kara, Great insight and tie to the dress viral. That is the big insight for marketers with social media – it is not about what they insist their brand stands for, it is about the overall perception of consumers formed via brand and social media communication. I mean Tracy great Post. Kara insightful comment! I like your analogy, it’s all how we perceive marketing, and not how it’s intended to be. Far too many times the intent in there, but the consumer just doesn’t get the idea. I can’t believe how the world was engulfed with this story for a day or so. It was everywhere. Now they are actually using the dress to promote abuse. I think it was a great idea to evolve it into something useful instead of just a whim of a story. PS, the dress was totally blue and black.